Bullish calls included an aerospace leader and a Latin American beverage giant. Bearish calls included a top semiconductor maker and a specialty retailer. The earnings reporting season was in full swing this past week, and the sting of the trade wars is already being felt by many U.S. sectors and companies. 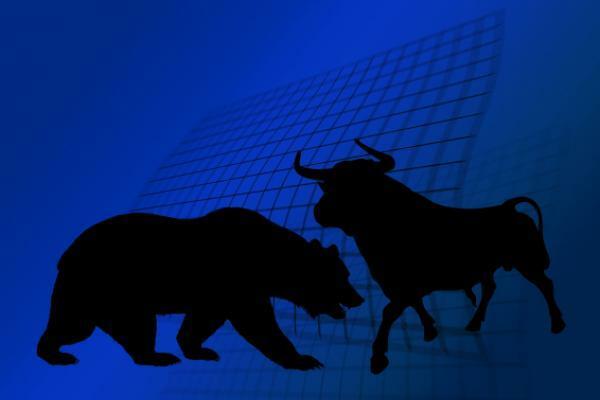 The S&P 500 and the Dow Jones industrial average eked tiny gains again, but the Nasdaq lost ground due to disappointing results from Facebook. As usual, Benzinga continues to feature looks at the prospects for many investors' favorite stocks. Here are just a few of this past week's most bullish and bearish posts that may be worth another look. "4 Reasons Behind Cowen's Lockheed Martin Upgrade" by Jayson Derrick looks at why one key analyst has now taken a bullish stance on Lockheed Martin Corporation (NYSE: LMT), maker of a new stealth fighter. In "SunTrust Upgrades Baker Hughes After 'Several Solid Quarters'," Bill Haddad examines what has improved the featured analyst's optimism about the earnings power of Baker Hughes A GE Co (NYSE: BHGE). Wayne Duggan's "Argus Sees Even More Upside For AMD" shows why semiconductor maker Advanced Micro Devices, Inc. (NASDAQ: AMD) is now firing on all cylinders and why its stock still looks cheap after a post-earnings rally. See why Mosaic Co (NYSE: MOS) should see some relief from the near-term negatives, according to "Mosaic Earns Double Upgrade On Sustainable Recovery In Phosphate" by Elizabeth Balboa. In Shanthi Rexaline's "Barclays Turns Bullish On AmBev's Story," see why better-than-anticipated results and an improving outlook turned one analyst upbeat on Brazilian brewer AMBEV S A/S (NYSE: ABEV). Also have a look at "A Running List Of The Companies Blaming Trade Policy For Stifled Earnings, Guidance." "4 Reasons Why BofA Downgraded Intel After The Q2 Print" by Shanthi Rexaline examines why, despite a beat-and-raise quarter, four factors could keep Intel Corporation (NASDAQ: INTC) stock rangebound. In Hannah Genig's "Pivotal Downgrades Spotify, Says YouTube, Facebook Pose Threat," see what underappreciated risks may not be reflected in the current valuation of Spotify Technology SA (NYSE: SPOT). Bitcoin rose more than 17 percent in the past week, according to "This Technical Indicator Suggests Bitcoin's Rally May Be Overbought" by Wayne Duggan. See what the cryptocurrency's prospects are for the longer-term trend. In "Walgreens Is 'Poorly Positioned' In The Evolving Retail Pharmacy Space, Cowen Says," Jayson Derrick looks at what one analyst sees as the failure of Walgreens Boots Alliance Inc (NASDAQ: WBA) to fully embrace industry change. Jayson Derrick's "Stifel Downgrades Papa John's To Sell Amid 'Fraternal Corporate Culture'" examines what's hurting the prospects of a turnaround or buyout for Papa John's Int'l, Inc. (NASDAQ: PZZA). Be sure to check out "All The Major Executive Departures Of 2018 — So Far" as well.